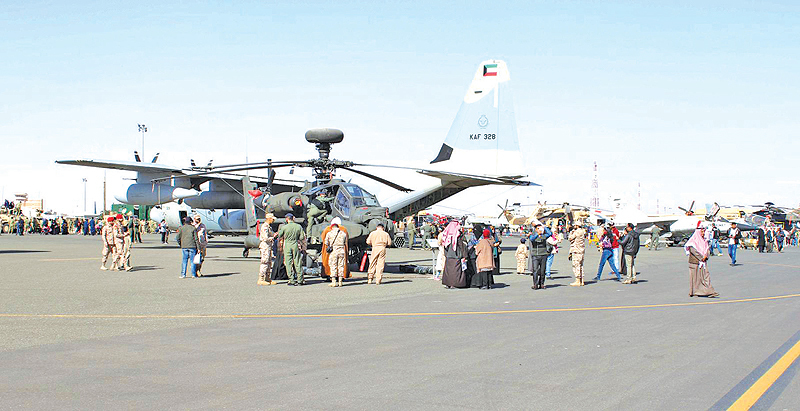 KUWAIT: The Kuwait Air Force held a static show event at the Ali Al-Salem Air Base in Salmi yesterday. The show was held in cooperation with the Ministry of Interior, Kuwait Fire Service Department, Kuwait National Guard, Ministry of Health and some international armed forces. It was held under the patronage of First Deputy Prime Minister and Minister of Defense Sheikh Nasser Sabah Al-Ahmad Al-Sabah. 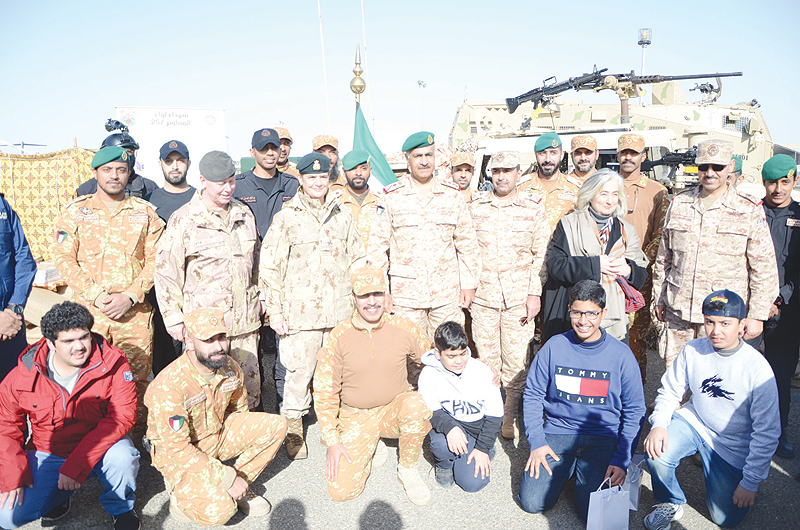 On display were various old and new vehicles of the Kuwait armed forces, including tanks, mobile operations rooms, special forces vehicle and others. Visitors also enjoyed getting onboard some aircraft and helicopters. Kuwait Army Chief of Staff Lt Gen Mohammed Al-Khudhur said the open day of the Kuwait armed forces comes as part of the upcoming national celebrations, in which the armed forces always participate. “This is a great opportunity for the public to witness various equipment of the Kuwait armed forces to encourage young men to join the army. The participation of various authorities reflects the cooperation between them and the public,” he said. The event included two air shows including F/A 18 slow pass, parachute jumping and an Apache show. This was followed by the K9 team (dog) show and the explosive detonation team show. The Kuwaiti Army military band also performed during the event. Children were able to enjoy entertainment activities at the event free of charge such as camel riding and slides. In addition, some competitions were held and visitors received souvenirs.